(CBS) Michele Bachmann is getting some pointed criticism from scientists for suggesting that the HPV vaccine poses serious health risks. "It can have very dangerous side effects," she said of the vaccine on the Today Show on the morning after Monday night's Republican debate. "This is the very real concern, and people have to draw their own conclusions." The Republican hopeful said a mother approached her following the debate and told her that her daughter became mentally retarded after receiving the HPV vaccine. But the American Academy of Pediatrics blasted Bachmann, saying the notion that the vaccine can cause retardation has "absolutely no scientific validity." Bachmann tried doing some damage control, saying, "I didn't make any statements that would indicate that I'm a doctor, I'm a scientist or that I'm making any conclusions about the drug one way or another," CBS News reported. But when asked if she'd apologize for her comments linking the vaccine to mental retardation, Bachmann said: "Oh, I'm not going to answer that." Apology or no, the controversy doesn't seem likely to die down anytime soon. Dr. Arthur Caplan, director of the University of Pennsylvania Bioethics Center, offered Bachmann $10,000 if she could produce solid evidence of a case in which a "vaccine victim" developed a mental disability following an HPV shot, the Associated Press reported. If he wins the wager, he said, she should donate the money to a pro-vaccine group. If she wins, he said, he'd donate the money to a charity of her choice. 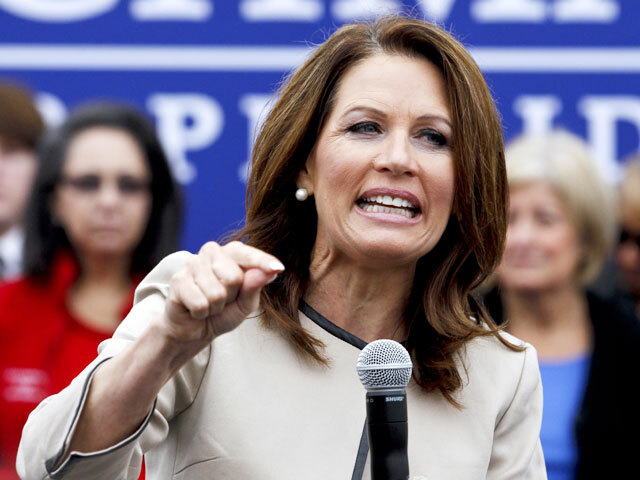 Bachmann's camp did not respond to the request, the AP said. Another bioethics professor, Dr. Stephen Miles of the University of Minnesota, offered his own wager, saying he'd give $1,000 if the medical records from the woman in Bachmann's story could be released and reviewed by a doctor, the Star Tribune reported. "These types of messages in this climate have the capacity to do enormous public health harm," Miles told the Star Trib. "The woman, assuming she exists, put this claim into the public domain and it's an extremely serious claim and it deserves to be analyzed." Some experts fear no matter what medical experts say, Bachmann's remarks will have serious consequences. "There are people out there who, because of this kind of misinformation, aren't going to get their daughter immunized," Dr. Kenneth Alexander, a pediatric infectious disease expert at the University of Chicago Medical Center, told Reuters. "As a result, there will be more people who die from cervical cancer."